It happens to the best of us. You turn the key and nothing happens. 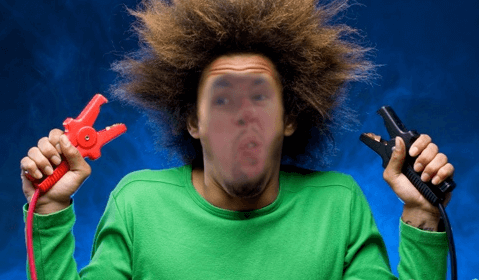 You are expecting the engine to start, but something weird happens. There are no lights on the console, and even the radio refuses to turn on. 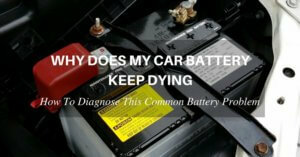 If this is the case, then you are probably dealing with a dead or weak car battery. This is not a problem if you happen to be parked near a service station. 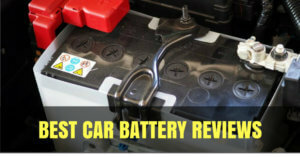 Simply buy a new battery, have it installed in your car, and drive away. But what if you are in the middle of nowhere, stranded in an empty parking lot? Your last hope will be to either call a towing service (which can be a bit expensive and could take ages to arrive) or to simply jump start your car. 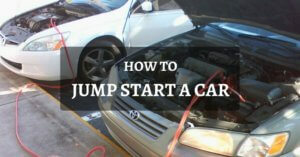 Jump starting a vehicle is not exactly rocket science, but there is a right way of doing it. Of course, you will need a sturdy pair of jumper cables to do the job. If you currently don’t have a set of jumper cables in your emergency kit, then now is the right time to buy one. 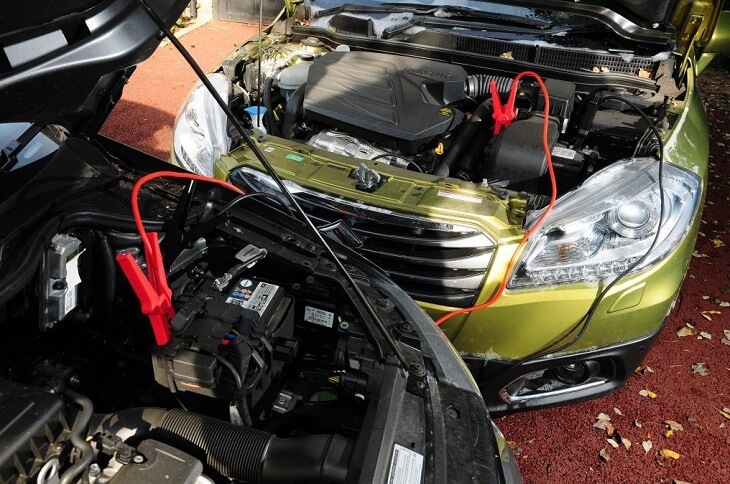 Don’t wait for an emergency to happen before buying a quality set of jumper cables, even if you are driving a new car. 1. 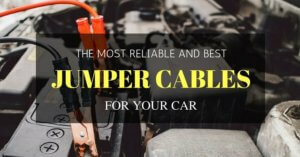 The best jumper cables will have thick cables, preferably around 4 to 6 gauge in size. You don’t need excessively thick cables to do the job right, but having the right gauge will make sure that the cables don’t heat up when jump starting your car. 2. Choose jumper cables with heavy duty clamps. Of course, you will need the clamps to be sturdy enough to provide a better connection. 3. The jumper cables should be at least 15 to 20 feet in length. Avoid using excessively short jumper cables. Longer cables will make it easier for you to position the donor car in such a way that both cars are not touching each other. This will also prevent short circuits or any catastrophic damage to the electrical system of both cars. 4. The price is usually an indication of quality. Avoid buying excessively cheap jumper cables, but you don’t need to settle for an outrageously expensive set either. Jumper cables costing $20 to $30 is usually a wise buy. 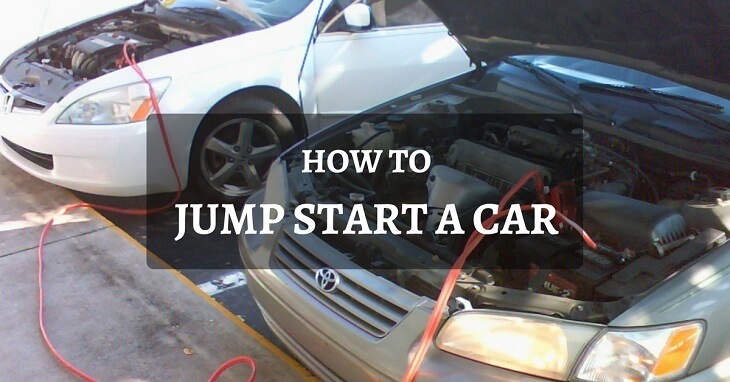 Here are the easy steps on the right way to jump start a car so you can get back on the road in no time at all. Your car will basically be leeching power from the donor vehicle. 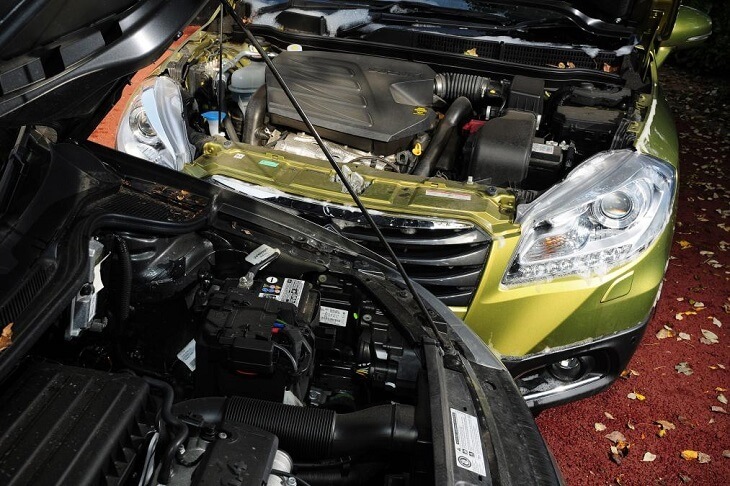 This is the reason why it is important to find a vehicle with a strong or relatively new car battery. The ideal position should be that both cars should be parked facing each other. Don’t let the vehicles touch each other to prevent any mishaps. If this is not possible, then you should park both cars perpendicular to each other. This is the reason why longer cables are preferred because you might find yourself in an awkward position when jump starting your car. Make sure that both cars are turned off and remove the keys from the ignition before proceeding to connect the jumper cables. It is also a good idea to fully engage the parking brake on both vehicles. If you have an automatic transmission, put the gear in Park. If you have a manual, then simply engage the gear in Neutral. Pop open the hood on both cars and prepare to connect the jumper cables. 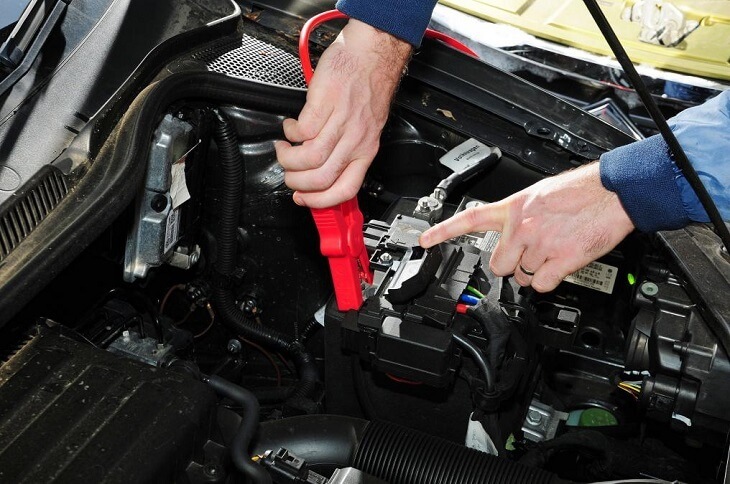 Locate the car battery and confirm the positive (+) and negative (-) terminals. The positive terminal is usually marked in red, and the negative terminal is marked by black or green. If you’re having a hard time discerning the positive and negative terminals, it is a good idea to clean the terminals using a terry cotton rag before connecting the jumper cables. Attach the red positive clamp of the jumper cable to the positive terminal of the dead battery, and attach the other end of the positive clamp to the positive terminal of the donor battery. Connect the black negative terminal of the jumper cable to the negative terminal of the donor battery. Next, connect the other end of the negative terminal to an unpainted metal part of the car, such as the engine block. This will serve as the ground. Do not connect the negative clamp to the negative terminal of the dead battery. When the jumper cables are connected in the right order, it is now time to start the donor vehicle. Simply turn the key and let the engine idle for around 5 to 10 minutes. If your vehicle has an excessively weak battery, it might take more than 10 minutes to power up your weak battery. After 10 or so minutes of idling, you can now start your vehicle. Simply turn the key and crank the engine to life. 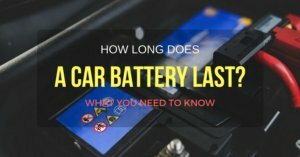 If your car still won’t start, then you probably need to charge the battery for a bit longer. If your car starts, don’t turn off the engine! Let your car idle for a while. While your car is idling, it is now time to remove the jumper cables. 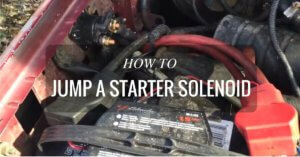 First, disconnect the black jumper cable from your vehicle and do the same to the donor vehicle. Next, remove the red jumper cable from the donor vehicle. After that, you should remove the red jumper cable from your battery. Do not let the clamps of the jumper cables touch each other, especially when removing them from your vehicle and the donor car. 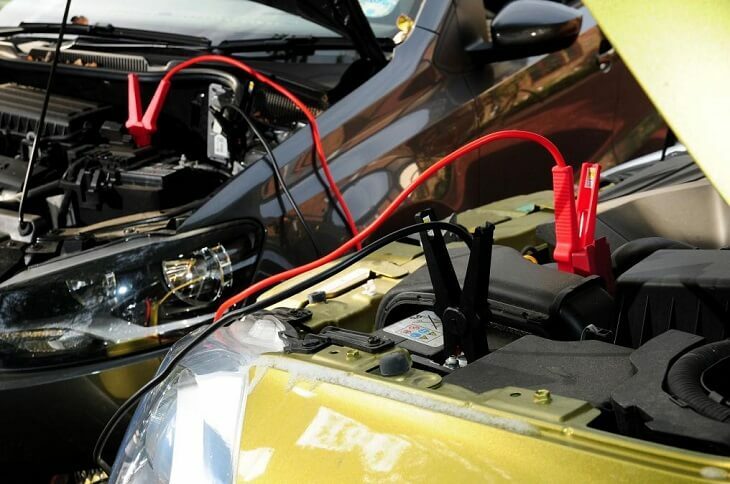 It is a good idea to always carry a reliable pair of jumper cables in the trunk of your vehicle. You will never know when you’ll need them. 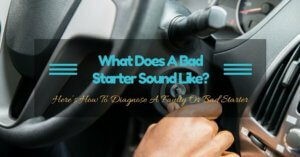 Better yet, you should also invest in an electronic jump starter. 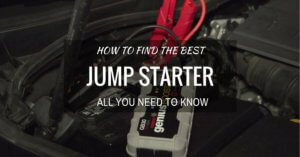 You can choose from the best jump starters for your car so are always ready to tackle a weak or dead battery. 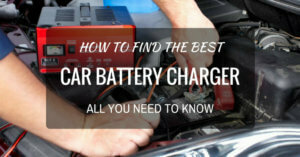 Now you know the right way on how to jump start a car, you should head to the nearest dealership or service station and have the battery inspected or replaced. 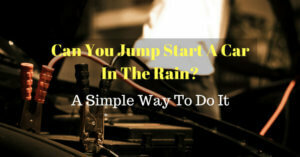 Read more: Can you jump start a car in the rain?